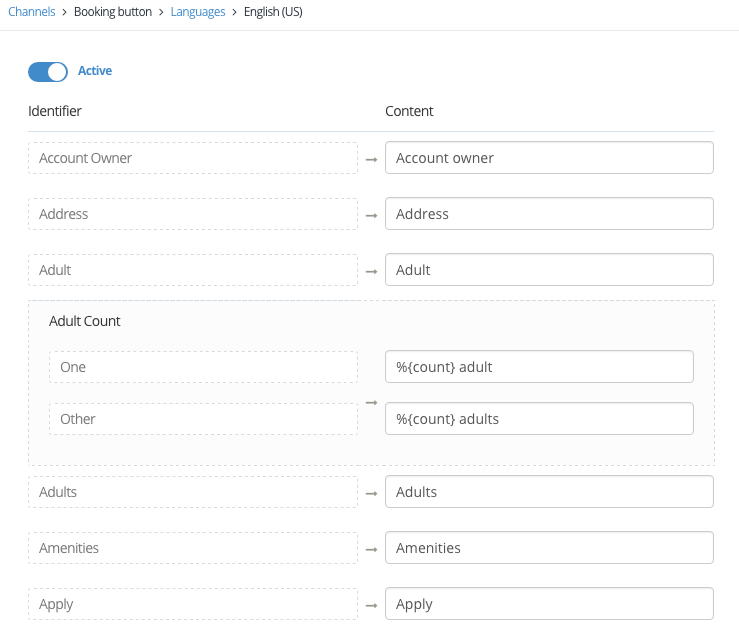 How to setup the Booking Button Language Pack ? Please go to the upper menu of HotelRunner panel and click Channels / Booking Buttons / Languages respectively. Please click on the language you wish to use and then confirm language setup from the opening confirmation window. 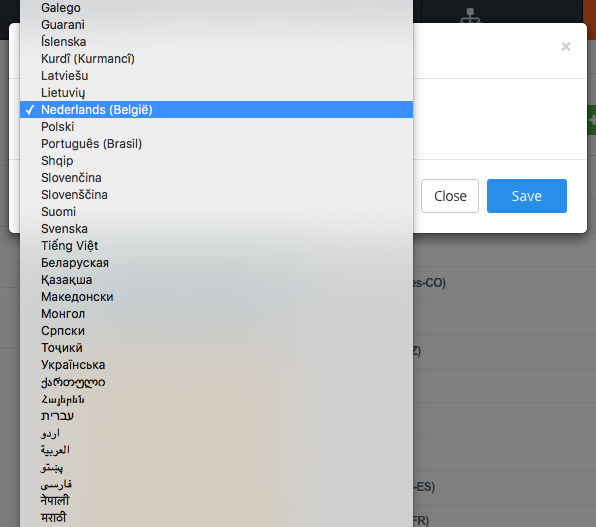 You can change or edit specific content for the languages you wish to add. Once you have completed your action, please activate the passive button from the left upper corner. Click Add Another Language from the upper right. Please select the language you would like to add to your booking button and then click Save (English is the default language used in the specific content for new languages you would like to add). 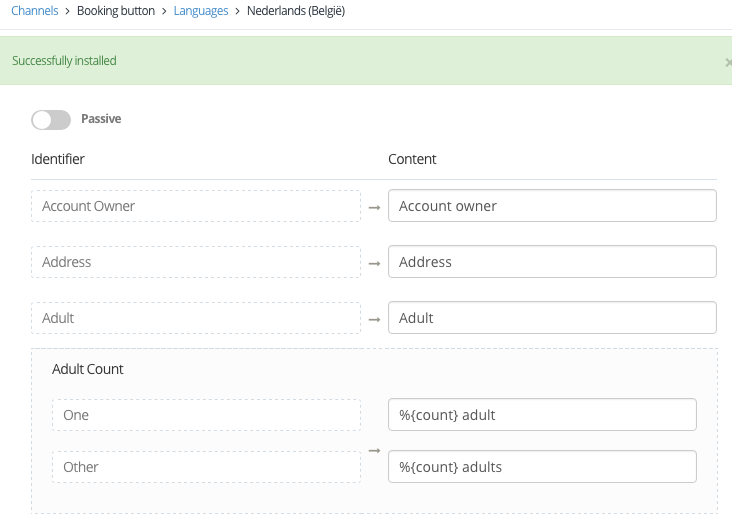 Please update the content field corresponding to the specific content for the relevant language, according to the language you add. To view the languages you have activated, please go to the language options on the upper right-hand-side of your booking button.